FieldVenturer is a project experimenting with a long-range, remote-controlled, and collaboratively piloted vehicle. 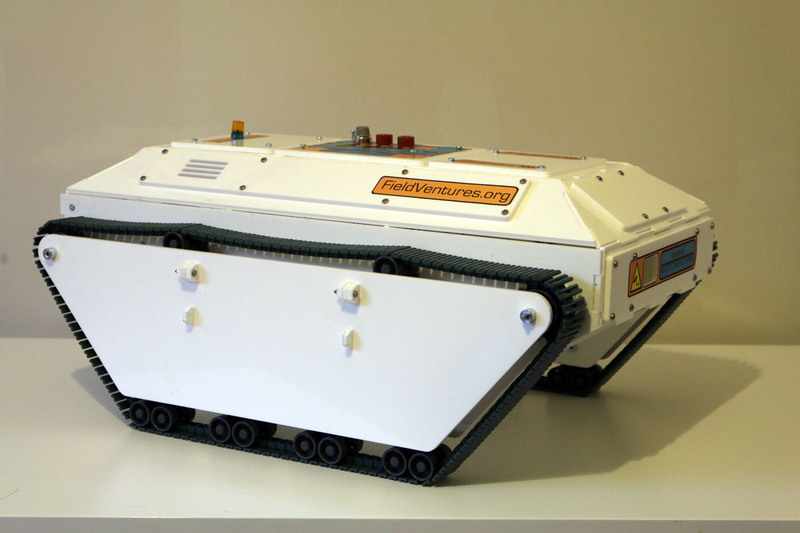 It centers on the design, development, and public deployment of a Rover: a small tracked vehicle equipped with sensors and a camera and an elaborate command center, through which it can be controlled by members of the public. Via a series of FieldVenturer events, we are beginning to explore how experiencing spaces through a "drone's eye view" can play a part in promoting discussion around the reconfiguration and re-articulation of public spaces. SchofieId, G. and Schofield, T. Exploring space with FieldVenturer. Proc. of Research Through Design 2017.